How would it make you feel if the numbers on your next Facebook post looked something like this…? If you are like me as a business owner trying to grow your business with Facebook, you are always trying to think of other effective ways to increase your reach, build your fan base and increase traffic into your site. One of the most effective ways to do that is to create a viral image that you share in your page that then gets virally shared through people’s Facebook newsfeeds. Posts like this get a ton of exposure on Facebook, and garner a lot of attention within people’s newsfeeds. When you position this piece of content correctly, it can be beneficial for your Facebook page and business. If you want to see an example of what I am talking about check out the image below. 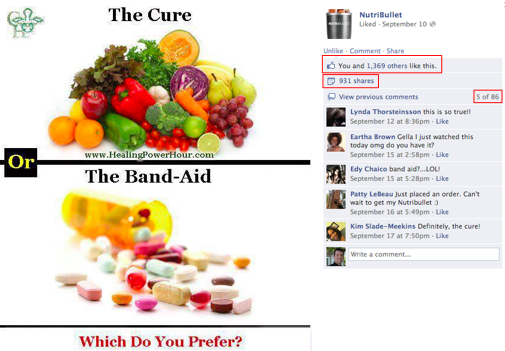 As you can see in the above picture, the Nutribullet Facebook Page posted this image, and just look at the response! Now here is the best part, and the purpose of this post. The easiest way to create images like this is to use a tool we all know, but you may not have been privy to using it this specific way. Follow these steps below and you will be well on your way to creating viral facebook content with ease! To find a tool that will help you take a screenshot (if you aren’t using a mac), Google will be your best friend. Once you have done that, then comes the fun part! The likes, comments, and shares will start rolling in! These actions bring massive social proof to the post in the shortest period of time, which causes more people to look at it, and feel more inclined to share it (plus it is good for the Facebook Algo to like you more and push it to more newsfeeds organically). The more shares, likes and comments a piece of content gets, inspires more people to want to get involved. Nothing attracts a crowd like a crowd! With a response like that, you could have gotten way more mileage out of it if you followed the steps above right after you post. For tracking purposes, I recommend that you take an inventory of how many likes you had before you follow the steps above so if you are managing the campaign for a client or your organization, you can show them the direct impact of your actions! Let me know how it works for you by leaving a comment below, and if you have tried this type of marketing with your page before, I would love to hear your story as well! I see that you recommend Powerpoint and Keynote as the software to use when creating the image. For those who don’t have Microsoft Office or Keynote, is the Impress program offered through OpenOffice.org a good alternative? Hi Paul! 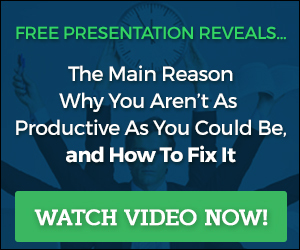 It is a good alternative as long as it has the similar/same functionality as powerpoint and Keynote! Let me know if you have any further questions!